We supply concentrated fruit juices, fresh fruit purees, bubble milk tea, milk shake powder, coffee powder, tea leaves, flower & herbal tea, konniaku jelly & canned beans, etc. A-0-1, Jalan 12/144A, Taman Bukit Cheras, 56000 Kuala Lumpur, Malaysia. The company has many years of experience in supplying high quality commercial cooker and house cooker. Golden Mart is a food ingredients supplier company. Our customer care team is based in Banting, Selangor, Malaysia. 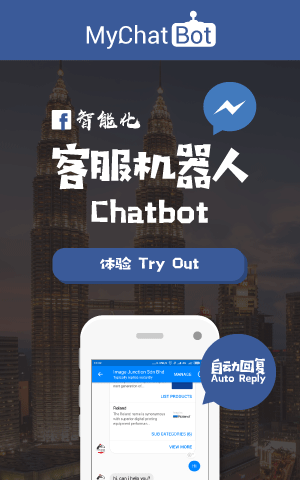 8, Jalan Cendana 44, Taman Muhibbah, 42700 Banting, Selangor, Malaysia. We at Golden Choice are confident to say that we are your one-stop wholesale food and beverage supplier, be it foodstuff or appliances, required to make a great many beverages and desserts, due to our wide range of products available. Saleima Catering is a branch company under Saleima Enterprise where it is a company supplying food and delicious cuisine. 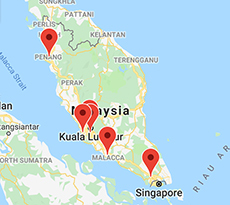 Our main office is located in Selangor, Malaysia. OMO LT Enterprise is a company that supplies all kinds of traditional herbal tea, concentrate fruit juice, instant beverage, coffee, tea, white coffee, ice blended material and fruit puree. Our main office is located in Ampang, Selangor, Malaysia. Moko Moko Supply was founded in 2010. Our main office is located in Butterworth, Penang. We are one of the reliable coffee & bubble tea ingredients and machinery supplier in Malaysia. 7286, Jalan Kampung Baru, Taman Perindustrian Sg. Puyu, 13400 Butterworth, Penang, Malaysia. Pitti Caffe Sdn Bhd is the sole distributor of Pitti brand in Malaysia. Our main office is located in Petaling Jaya, Selangor. A packaging machine manufacturer company in Seri Kembangan, Selangor. We have decades experience in production line automation. We offer all kinds of high productivity, reliable, and cost effective machines. Besides that, we are also specialize in machine design & customization, machine modification, and machine repair & maintenance. Our business target area is Kuala Lumpur (KL), Selangor, Malaysia. 34G, Jalan Juara Jaya 1/5, Taman Juara Jaya, 43300 Seri Kembangan, Selangor, Malaysia. Golden Bons Best Food Sdn Bhd is a company that supplies Taiwanese foods and drinks in Malaysia. Our main office is located in Banting, Selangor. specializing in the supply of ingredients to the food & beverage industry. HQ Office No. 27, Jln Dedap 6, Taman Johor Jaya 81100, Johor Bahru, Johor, Malaysia. - Specialist & supplier in coffee machines & coffee beans. - Maintenance, installation and repair of major brands of semi / auto expresso machine. 70, 70A, 72 & 74, Jalan Seroja 12, Taman Johor Jaya, 81100 Johor Bahru, Johor, Malaysia. We.focuses on manufacture and distribute R.O drinking Water, which are suitable for commercial and residential application in office, restaurant and bank. No. 32, Jalan Utama 1/6, Taman Perindustrian Puchong Utama, 47140 Puchong, Selangor.